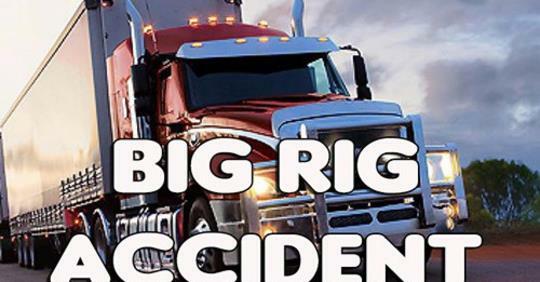 A Princeton man was seriously hurt when he was thrown off the tractor he was driving when it was struck by a tractor-trailer unit Friday morning (Feb. 8) north of Princeton. According to an online report provided by the Missouri State Highway Patrol: GILBERT LAWSON, 44, of Princeton was driving a 2017 Case tractor south on U.S. 65, partially on the pavement and partially on the shoulder. Lawson began to make a left turn into a private drive at Smithfield Hog Production. Meanwhile, a southbound 2007 Peterbilt tractor-trailer unit, driven by Timothy Spickard, 44, of Trenton, was beginning to pass the tractor and hit it in the northbound lane of 65, throwing Lawson off it. The tractor came to rest on 65, on its wheels, facing northwest. The Peterbilt continued south, went off the east side of the road and overturned onto its side, facing south. Lawson was taken to Wright Memorial Hospital in Trenton for treatment of his injuries, by the Mercer County Ambulance District. The Mercer County Sheriff's Office and the Missouri Department of Conservation assisted the Highway Patrol at the scene of the wreck, four miles north of Princeton. The tractor was demolished. The Peterbilt was extensively damaged. Gilbert Lawson is my late great great Aunt Dona's grandson. KTTN facebook page: The Highway Patrol reports a Princeton man sustained serious injuries when he was ejected from the farm tractor he drove after being struck by a tractor-trailer hit Friday morning. An ambulance transported 44-year-old Gilbert Lawson to Wright Memorial Hospital of Trenton. Tractor trailer driver 44-year-old Timothy Spickard of Trenton was not reported as injured. The Patrol reports the farm tractor traveled south on Highway 65, partially on the shoulder and partially on the road when it began a left turn onto a private drive four miles north of Princeton. The southbound tractor-trailer allegedly attempted to pass the tractor before the truck struck the farm tractor in the northbound lane, and Lawson was ejected. The tractor came to rest on Highway 65 facing northwest and was totaled. The truck continued south, ran off the east side of the road, and overturned onto its driver’s side facing south with extensive damage. The Mercer County Sheriff’s Office and Missouri Department of Conservation assisted at the scene of the crash.